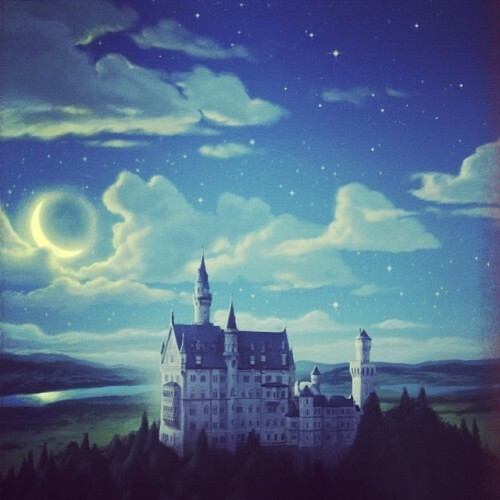 Glorfindel wrote: So at some point in the book they (probably Conner) will go to Neuschwanstein. I think Conner will go on a scavengers hunt in the real world this time, either to get back to TLoS himself or to find (brothers Grimm?) items or clues to help Alex in TLoS. Oh no, not another scavenger hunt. Actually I don't think it will be like that, but Connor is going to Germany to find something to do with the Grimm Brothers as I remember reading that somewhere. As he is in the real world he would have to find magical things if this was another scavenger hunt. And I don't think that is what he would be doing in Germany. The magic is in TLOS, not the real world. 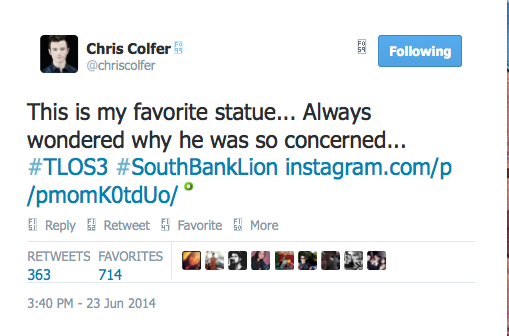 Maybe he has to find a gateway, a portal to TLOS himself this time. ^ But fairytale creatures and therefore its magic can pass over. Also, I suspect Mother Goose will take Connor along to Germany. I actually very much suspect a scavenger hunt, but hope to be false. After all Chris created an entire world and it co-exists with our world. I think he is limiting himself, by always using the same over-achieving theme each book. Remember that the books are aimed at 8-10 year olds and up, not adults: they love that sort of stuff, as it makes them anticipate and trying to find clues or items before the characters do. For me it's usually not the theme/lay-out of a story that's interesting anyway, but the way it's told. And in that regard I think TLoS2 was different from TLoS1. 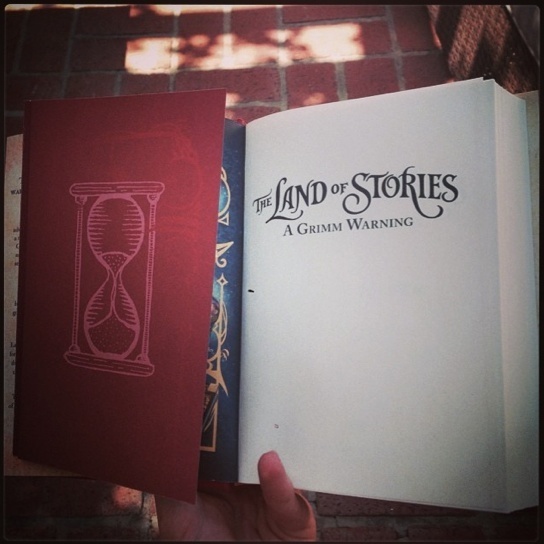 TLoS1 was about the twins discovering the wonders of the Land of Stories, mapping it out as it were. Whereas TLoS2 had more teamwork and relationships in it, as the twins were not strangers in the Land of Stories anymore, and with all the fairytales woven into one another it took the familiar stories to another level imo. TLoS3 will probably be different too, first of all because Conner and Alex are not in the same world together at the beginning of the book like they were in the other books. So far the interesting world in TLoS books was the magic world, and the first 2 books didn't really start untill the twins travelled into the Land of Stories. But with Conner now needing to do something in the real world that might involve magic, or at least connects to magic, makes the real world a lot more interesting to me, especially since he's apparently going to search at real historical sites, like Neuschwanstein, and I bet he'll go to the tombstones of the brothers Grimm too, and perhaps Versailles and/or Stonehenge will make an appearance as well. Having some sort of a scavenger hunt in the real world this time around also sounds interesting because there are no magical creatures to help Conner there and he will have to deal with real world problems, maybe with the use of magic but it then needs to be kept a secret. Instead of e.g. in TLoS1 where magical world problems were dealt with with the solutions and mindsets of 'real world' children (like the rubber band). Now Conner has the mindset of a kid who knows magic excists and will see the real world in a different way because of it. It turns things around a bit. TLoS2 was a sort of an intro to this: with sir Lampton as a dog, the soldiers/gnomes and mother Goose in the real world. I also wonder how much of a role the wicked stepmother and 2 stepsisters will have in TLoS3: will they be able to adapt to a non-magical world? Will they help Conner in return? The first two Harry Potter books were also children books. The overall theme is always the same. Harry Potter vs. somehow Voldermort. There are many recurring themes and the we more we get into the story, the more we learn about the magical world. With LoS it is the same, because the more we read, the more we are introduced into the LoS. Also in the new book, the connection between our world and the LoS will be shown even more. However, HP always had very different stories each book. The overall story were vastly different, despite the same setting. The first book was the Sorcerers Stone, followed by Chamber of Secrets, Prisoner of Azkaban, etc. So Chris always using scavenger hunts in all his books? It is like repeating the first Harry Potter, while contributing with the overachieving SL of the other books. Chris has a lot of creativity and the stories he wants tell, he can tell in a different form. He can create different adventures, telling the story he wants to tell, without needing to use the same basic overall approach. To be fair, I really like the books but I can also still very much see that Chris started writing books actually only a short time ago, and he is by no means perfect yet. In a sense I wonder if it really is a good idea to release the books so shortly after one another (especially with the Glee schedule), because there are quite a few parts were you can see it needed a bit more work but probably no more time was available. 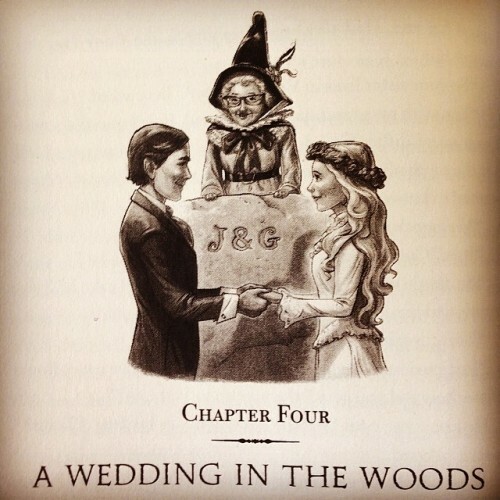 Lottie2303 wrote: The first two Harry Potter books were also children books. The overall theme is always the same. Harry Potter vs. somehow Voldermort. There are many recurring themes and the we more we get into the story, the more we learn about the magical world. With LoS it is the same, because the more we read, the more we are introduced into the LoS. Also in the new book, the connection between our world and the LoS will be shown even more. Well, the second book was a little darker, as I think this one will be to. The children I am guessing are now fourteen. With Mother Goose, of course there will be magic. I don't mind scavenger hunts, but if there wasn't one I wouldn't mind either. Red seems to be having her own trouble in this book within her kingdom because of her pet wolf, so that is another story Chris is telling. Alex is trying to learn how to use her magic, so that is another story right there. The two teens now have love interests. I can't wait to see how Trollbella reacts to Bree as I am sure she follows Conner into the TLOS. That's if she is in this one. Hmm... just realized that if I order the book through either Amazon or B&N, I won't have it in time for the book signing in NYC on July 8. So looks like I'm going to have to do this the old fashioned way and actually buy my copy at the store. Wow... that feels positively prehistoric. ^Do you still know how real money looks like? Like actual dollars and dimes? On the plus side: you'll get the book on its releasedate, without having to wait for it to arrive in the mail. Glorfindel wrote: ^Do you still know how real money looks like? Like actual dollars and dimes? Mine is meant to come in August, but usually I get it nine days after the release date. It can be repetitive if every book Chris has scavenger hunts, but by other side could be a sort of trademark. And sometimes an scavenger hunt can lead to a lesson, this time I imagine Conner will deal with lots of stuff by himself and he has to learn how to survive without his sister. 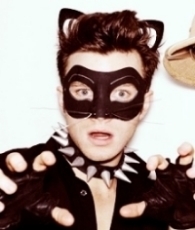 hrhchriscolfer Guess who’s getting married!!! Though I'd preferred to be surprised, I don't mind to know this in advance hopefully they have a happy ending. oh, who is getting married? Jack and Gill? fantastica wrote: oh, who is getting married? Jack and Gill? That is Jack and Goldilocks. Is he dedicating it to JK Rowling, or the Harry Potter book in general? I would think JK Rowling. She is one of the reasons he loves to read and write. I really love that this time the villains come from the real world. I did feel this one is going to be a little bit darker. I would also guess Rowling, or then the three (Harry, Ron and Hermione) as a whole ie. consept of an inspiring characters. We'll see. I'm getting impatient because we have yet not gotten anything from the book. Advanced copies have already been seen, where are the look inside glimpses in the internet bookstores. They are just teasing more! 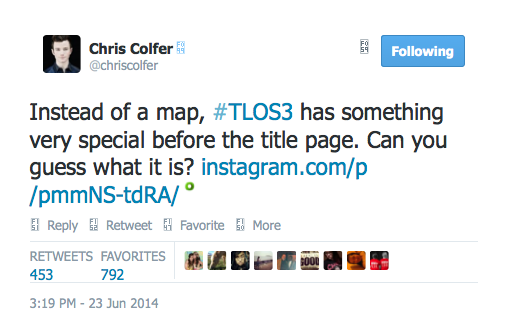 Has anyone read the preview from the released TLOS2 paperback, or have I missed it? 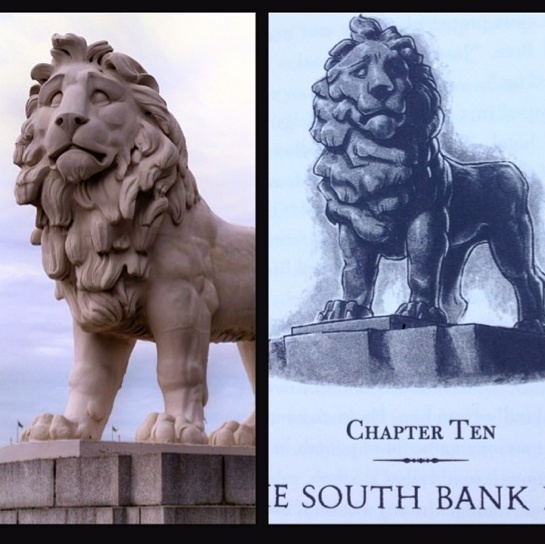 With all these historical landmarks of Europe in the book I think it's safe to say we're getting a scavenger hunt in this world now. Will it be just around Europe, or will it start in the USA (maybe in Washington or New York)? 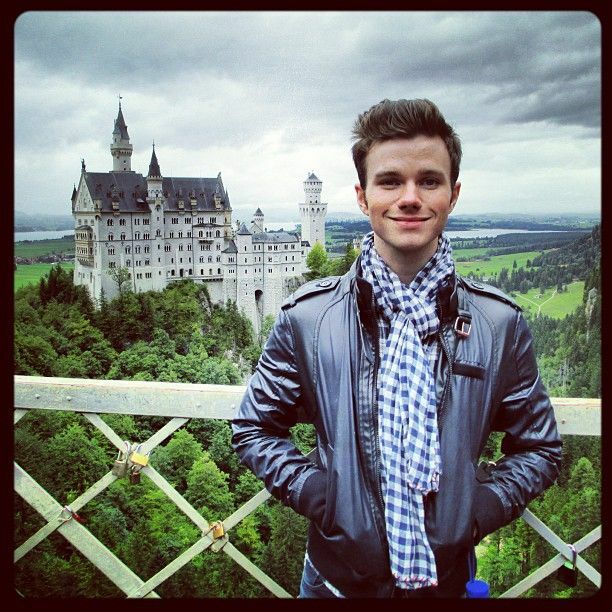 I also wonder if there will be more European countries involved in the book than just the ones we know Chris visited so far. We know he was in Germany (Neuschwanstein and the Grimm graves), England (London and Stonehenge), France (Paris, I bet Versailles will be in the book), and he was in Austria with Amber in december 2010 (but not sure if he saw any landmarks while there and if he remembers them vividly enough to put them in is book 4 years later). With the villains being from this world in the 3rd book, and apparantly also a scavenger hunt in this world, I'm quite excited for this. First of all because I love books/movies in which magical people have to hide their magic in the 'normal' world, as this often involves hilarious excuses and weird explanations why things happen all the time. And I also look forward to how this will affect the dynamic between the twins this time. So far (especially in TLoS2) Alex was destined to be the magical one, the Fairy Godmother's granddaughter who will lead the Fairy Council some day, while Conner is the 'non-magical' one, the down to earth one, the storyteller and connection between the 2 worlds. But with the villains and solution (scavenger hunt) being in this world it seems that it's Conner who will have to work 'magic' in TLoS3 somehow, in order to help his sister and her world.